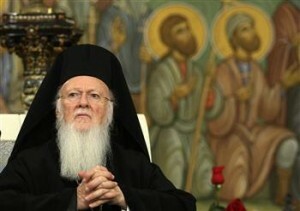 According to reports from Mr. Nikos Maginas from the Ecumenical Patriarchate, His All Holiness Ecumenical Patriarch Bartholomew had a telephone communication in the evening of Monday, April 22, with His Beatitude Patriarch John of Antioch. 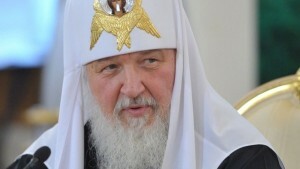 Patriarch John expressed his heartfelt thanks for the immediate interest expressed by His All Holiness from the first moments after the abduction of Metropolitan Paul of Aleppo and his company. It is worth noting that the Ecumenical Patriarch, immediately after receiving the first information which reported the abductees might be in Turkish territory, advised the Turkish Prime Minister, and requested immediate assistance for their location and release. 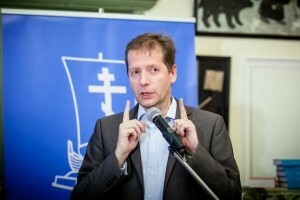 The Ecumenical Patriarch also telephoned Greek Prime Minister Antonis Samaras, with whom he discussed the case of the kidnapping of Metropolitan Paul of Aleppo and his company, in order to have the greatest possible help for their release. 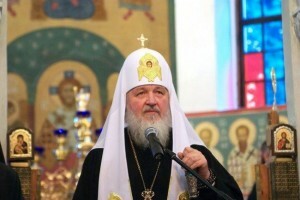 During their telephone conversation with Patriarch John of Antioch, the Ecumenical Patriarach Bartholomew expressed his deep concerns and unreserved support both to the Greek Orthodox Patriarchate of Antioch and to Patriarch John personally, as Metropoltan Paul is the blood brother of His Beatitude.